Would you like a quick-fix action to transform your blog’s performance? Normally when someone offers that kind of suggestion, any sensible person would probably run a mile. But now and again it’s worth finding out about which fairly easy things could make a difference to your blog. However, typically for digital marketing, this does require some effort on your behalf to make it happen. Now since you’re a blogger, and therefore a writer, what I’m going to suggest is not a million miles away from what you are already doing. I bet the answer is: hardly ever. Yes, this is an age old problem. We’re all so focused on our own writing, we forget there are other blogs out there. By doing this you are neglecting a very important task. It’s not just a method of keeping tabs on your competitor’s blogs. It’s about expanding your knowledge, broadening your horizons and spreading your reach throughout the blogosphere. This is also not just an excuse to curate new material for your next post. Reading, and then commenting, can be very fulfilling, both for you and the recipient blogger. Blogs were originally created to receive comments. This should not be forgotten. They allow your readers to respond to what you have written, to have their say and express their opinions. I bet there aren’t many bloggers who don’t enjoy receiving comments. Surely it gives you a glow when someone makes an effort to leave a comment on your post? There’s nothing more gratifying to transform your blog than a show of appreciation. And have you ever read a post, only to suddenly be inspired to leave a comment? I have, and have done so many times, especially if it is easy to do so. It’s not only on social media that this kind of spontaneous action takes place. Why not take a break from your blog and go practice your writing on someone else’s? Spread some love and appreciation for another writer’s work. Go on, make their day! Commenting on other blogs should focus on starting up a discussion. This means writing something quite substantial, a minimum of 50 words, to make the process worthwhile. Comment writing is a skill in itself. Unless you were forced to learn précis writing at school, the art of composing something that is succinct yet complete can be quite a challenge. Not to mention thinking of something suitable to say. If you manage to create a conversation with the host post’s author, the thread needs to be entertaining for other readers as well as yourself. This does not consist of minimal responses similar to what is found on social media. Imagine being interviewed: you would deliver full responses there, so the same is needed within blog comments. Kevin Arrow of The Business Dojo decided to do a little experiment. He had two similar blogs he wanted to promote, both with a Domain Authority of 0, so he decided to go on a blog commenting spree. He chose one blog to link back to via his submitted URL. This was only acceptable connection he had between his comments and this blog. He commented on 30 posts per week. Apparently this wasn’t easy, as not every post he came across made it easy to comment, accepted his URL on submission or was even worthy of a comment! After a couple of weeks doing this, he checked the Domain Authority of his chosen blog. It has risen to 15. 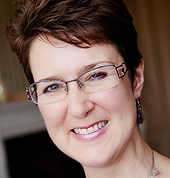 Consider commenting to transform your blog’s peformance? 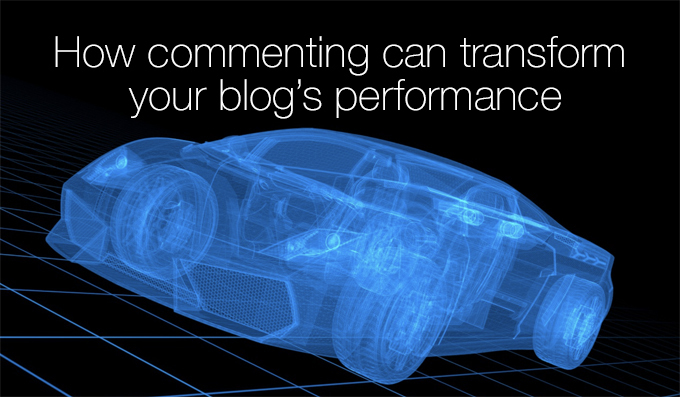 With results like that, wouldn’t you also like to transform your blog through commenting? I certainly would. Just think how much your DA could improve if you commented regularly! Why is having a high Domain Authority important? Google’s algorithms need to have something to rank your blog with, and your blog’s credibility is one of those. Your DA shows how your blog competes against others within its subject. This also plays a considerable factor on how your blog is optimised and your posts are matched to search requests. 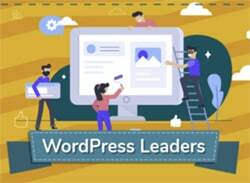 And it seems that Kevin’s experiment shows commenting on other blogs, particularly those that are relevant to your niche, gives enough SEO boost to result in a higher DA. 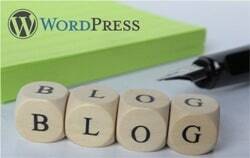 Which basically makes your blog more noticeable, resulting in attracting more readers. Regular blog commenting is not easy. Just like any challenge, you will need encouragement, guidance and resources. But for any decent blogger like you, exercising your writing muscle on other blogs won’t be as difficult as you think. All you need is incentive, persistence and practice. That’s why I’m putting together The Commenting Club, to help anyone who wants to get better at commenting, as well as having a desire to transform your blog’s performance. Details coming very soon, so watch this space! Meanwhile, why not make a start and leave a comment below? Fantastic post Alice and thanks for the mention, i was so surprised to see just by leaving a few thought out comments that my DA would increase that much. Commenting on others posts for me has always felt like a bit of a pain then i worked out it was the blog posts i was reading weren’t really my type of content so finding ones that i actually enjoyed reading made it a bit easier. Thank you for your comment Kevin – glad to see you’re still doing it! Yes, it is pretty amazing what a bit of relevant and positive commenting can do for a blog. As long as people take note of the relevance factor, and comment meaningfully on blogs that relate to their own, the search engines will notice and reward you accordingly. In my haste to do all the other small business owner ‘stuff’ commenting on blog posts, including yours, was put on the back burner in the last year…time to invest time and effort to comment regularly. Besides the increase in domain authority, I found the increase in visitors was well worth the effort, along with the relationship building with the blog owners and community. Thank you so much Urban for commenting. It’s a shame you haven’t commented in the past – I know how time consuming it can be. My next post will be addressing that problem, so keep an eye out for it. I’ll guide you to my sales page for The Commenting Club once it’s ready, if I may. Until then, happy commenting! Great blog post Alice. Love your writing style 🙂 Good advice too. I shall make an effort to comment more often. Thank you for commenting Shelley, and the heads up about the laziness of my commenting system. Hopefully with Claire’s advice I will improve this ready for your next contribution! That’s quite some effect on Domain Authority with commenting, so I must make more of an effort! Thank you for your comment Claire. I look forward to your participation in The Commenting Club, you’ll be a great asset. Not yet Sarah, it’s on my to-do-list! I’ll let you know when it’s ready. Wow, how fascinating that it made THAT much difference to DA! I knew it affected it, but had never taken note to the extent Kevin did. Thanks for sharing both of you. I think like all things to do with web traffic, and online visibility, blog commenting is a habit and one I’ve got out of. Your commenting club sounds interesting & I think, like Kevin, it’s finding the right blogs to inspire me that takes the time in the first place & that’s not something I’ve put effort into recently. Like you say, being focused on my ‘own stuff’. Thank you Tracey-Jane for your comment. Yes, you’re quite right, finding suitable blogs to comment on is properly the hardest part – whereas commenting on them is a walk in the park in comparison. We need to encourage better blogging in our own niches to make sure there are enough posts to comment on. Hi, I found your blog via LinkedIn as we are connected on the platform. I have to say I am very surprised to see the outcome of the blog commenting experiment. Do you know if the increase in DA has had any impact on the SERPS? Thank you Admir for your comment. I asked the blog’s owner and he thinks the increased DA would have positively impacted its SERPS.